Introducing a world first! This is the first stick of it's kind, Fully Braided! 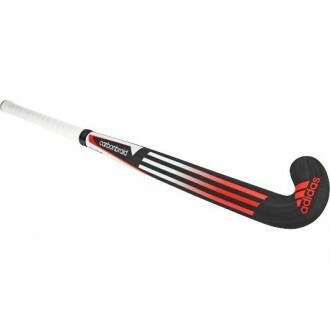 This stick will change the way the game is played and will completely revolutionise the game as a whole. This equipment was made in Holland using technology which is normally used in Aerospace and Automotive. It has been a key talking point in the industry since it was first seen at the World Cup in the Netherlands. This piece of equipment will offer: Upgraded Hitting - not just through high carbon substance and prevalent firmness, additionally by a fast return to unique state. 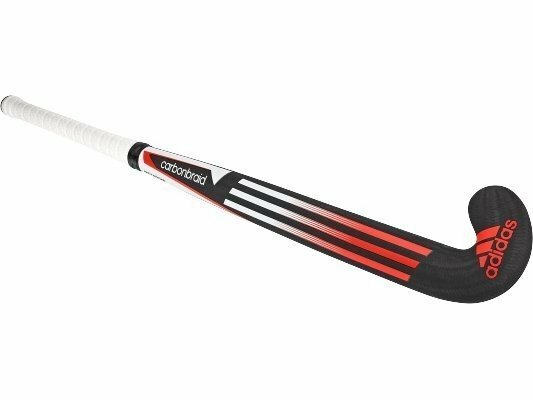 Carbonbraid grasps the flex and returns the stick to its normal plane faster than any stick which has been produced to date. 2 years of examination and testing demonstrates a normal of 7% vitality misfortune when exchanged from stick to ball, however with Carbonbraid this misfortune is lessened to just 3%. More vitality is exchanged to the ball and the ball moves speedier when hit with Carbonbraid - Fact. Upgraded Feel - delicate centre, and painstakingly chosen fibre situating (conveyed reliably and precisely because of the exactness assembling procedure) both help give the stick a delicate vibe, much the same as wooden sticks of yesteryear. Upgraded Sturdiness - accuracy machine assembling permits accurate fibre arrangement even around the main head of the stick, alongside expanded divider thickness which consolidates to add to much more noteworthy effect resistance and offer an unadulterated exactness built item to low resilience. Obviously the Carbonbraid still offers incredible components like touch compound, extraordinary equalisation, light weight, and an awesome shape for 3D aptitudes hitting, pushing and flicking. This stick truly could be the ultimate...be one of the first to get your hands on one. Be a piece of the transformation and be sure to let us know what you think of the stick but we are sure you will be very happy with your purchase. Also available in store for your own first hand testing.